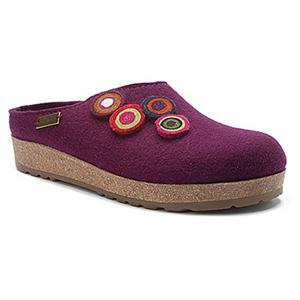 The Chloe is a fresh approach to a Haflinger favorite in house shoes. 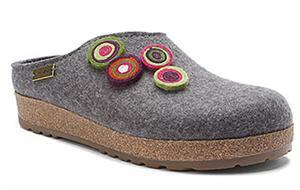 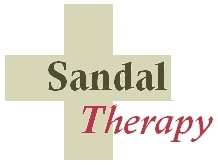 Cork base will mold to your feet. 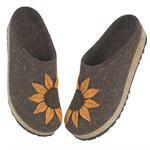 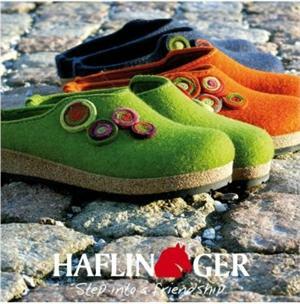 Haflinger wool felt Grizzly clog with a sunflower applique.